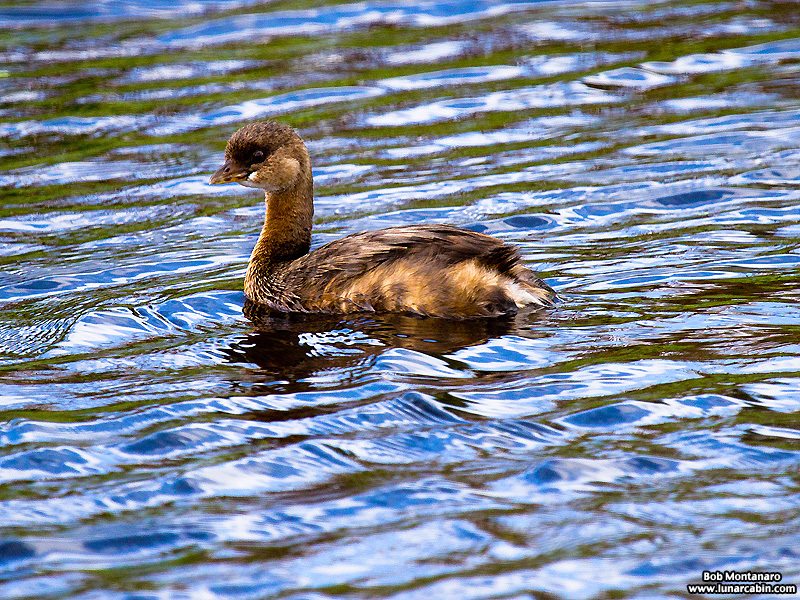 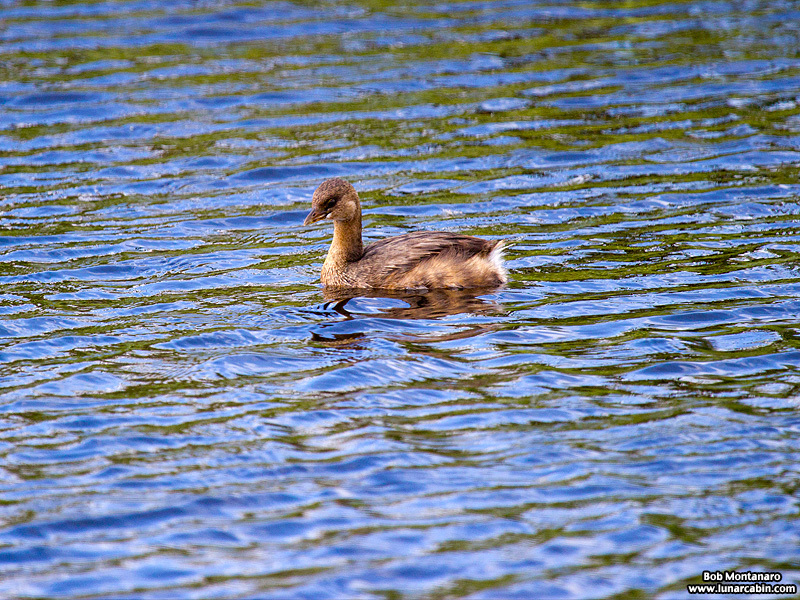 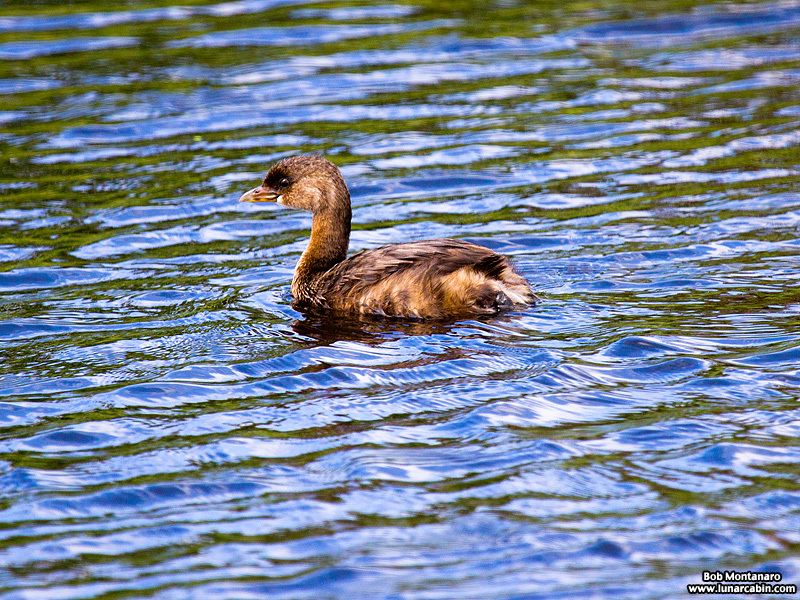 A cute Pied-billed Grebe [Aren’t they always cute?] 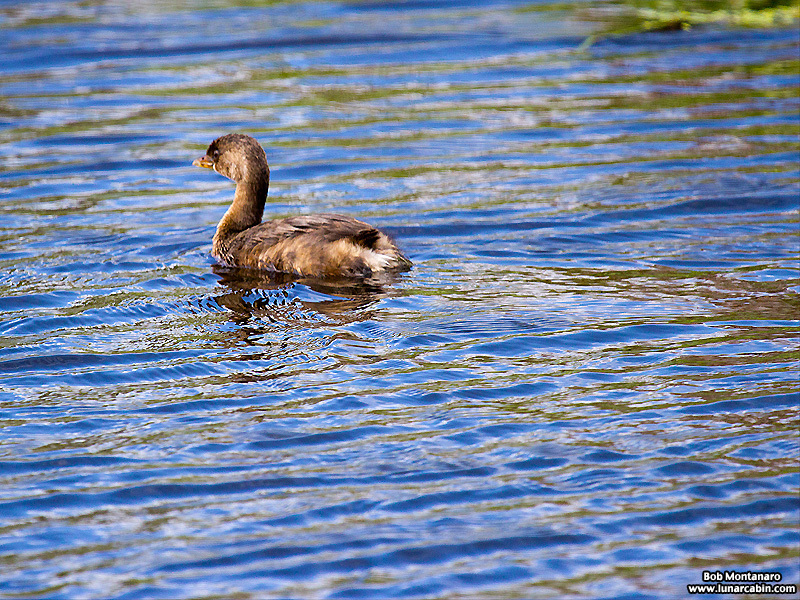 floats on Lake Apopka in Florida on wind-rippled water reflecting the blue sky above. 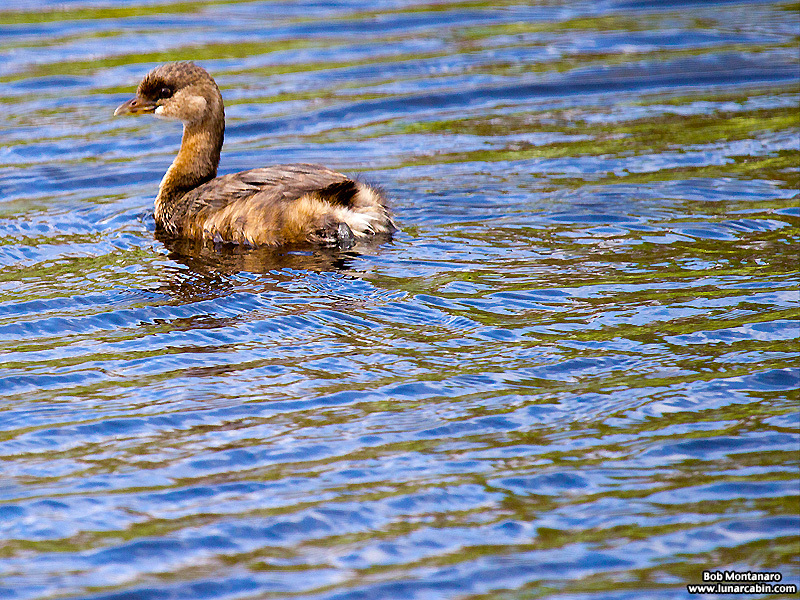 Podilymbus podiceps in a complex interplay of light and water.